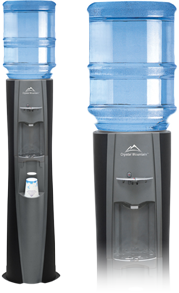 A global leader in manufacturing water dispensers, Crystal Mountain offers a variety of floor-standing and counter-top dispensers available for bottled water and Point-of-Use applications. 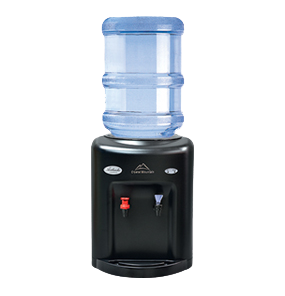 The small footprint Avalanche water cooler designed to fit conveniently on a kitchen or office countertop. The compressor in this compact design provides exceptional cooling rates and runs very quietly. This cooler comes in Room Temp. and Cold and Hot and Cold models and has handy LED lights indicating when water reaches temperature. The K2 is the latest in Crystal Mountain's pursuit of modern appliance design. It features the revolutionary CrystalFlo Water Cartridge which is a removable reservoir system. The CrystalFlo can be easily removed and replaced as part of regular sanitization. All water contact components are simply replaced rather than being cleaned, which ensures 100% sanitization. 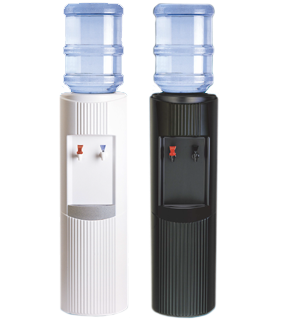 The K2 has been designed with an ergonomic high dispense point, almost 12 inches (30cm) higher than traditional top load bottled water coolers. The recessed water outlet, the increased dispensing rate and the large dispensing area add to an enhanced user experience. The Glacier Cooler is sophistication simplified. The rounded cabinet has a stylish fluted front, giving it a classic Greek column design. Features include approved food grade HDPE removable reservoir and the sealed DryGuardTM non-spill system. 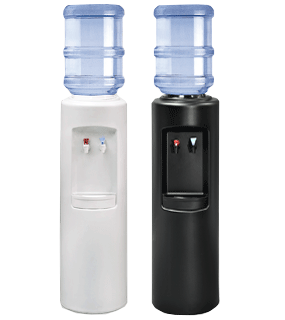 The Glacier is available in white or granite with an optional bottle cover. 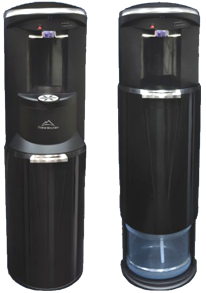 A robust bottle water dispenser with a classic design. 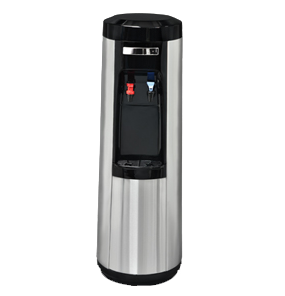 The Aspen is the perfect water cooler for the traditional home and office delivery. Featuring Stainless tanks and one-piece blow molded cabinet, the Aspen is built to perform and backed by the company known for innovation, quality and support. Another addition to the Crystal Mountain family of Point-of-Use coolers. The stainless fingerprint proof cabinet of the Nordic adds class to any environment. Available in Hot/Cold and Room Temperature/Cold. The Nordic design is robust and dependable making it the best value stainless cooler in the business.